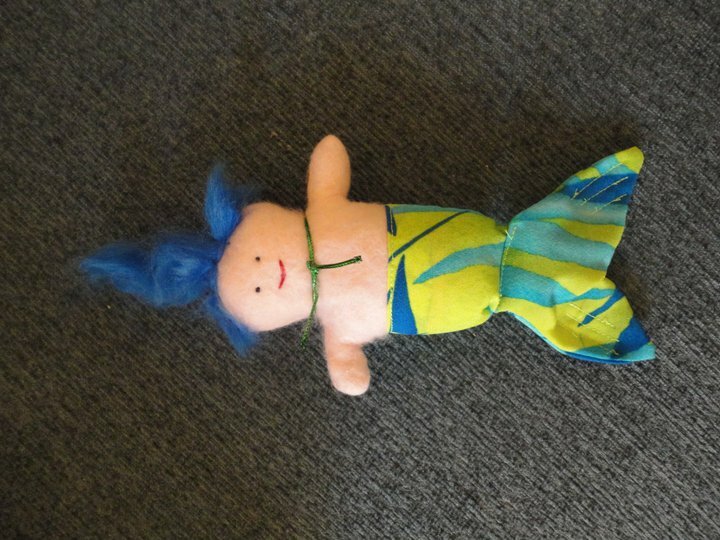 Our littlest daughter Rachel (5) loves Mermaids - she calls them merbabes - cute. 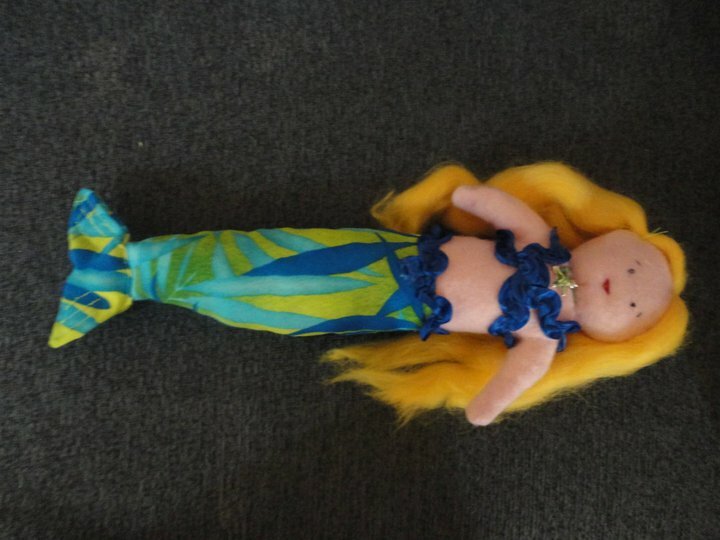 We recently made some big merbabes and baby merbabes and merbabes for our friends little girls. I didn't use a pattern, just sort of cut them out ... but I want to make more, so will create a template this weekend and post on here. 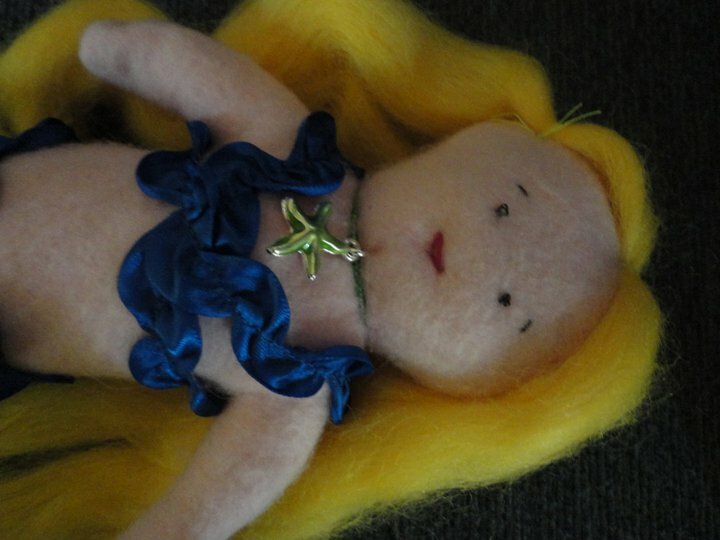 We found the most amazing wool fibre just perfect for merbabe hair and the bodies are simply peach coloured felt. The tail and top is printed fabric and their little faces have red embroidered mouths, little black french knots for eyes and a scribble of red pencil on their cheeks for blush. 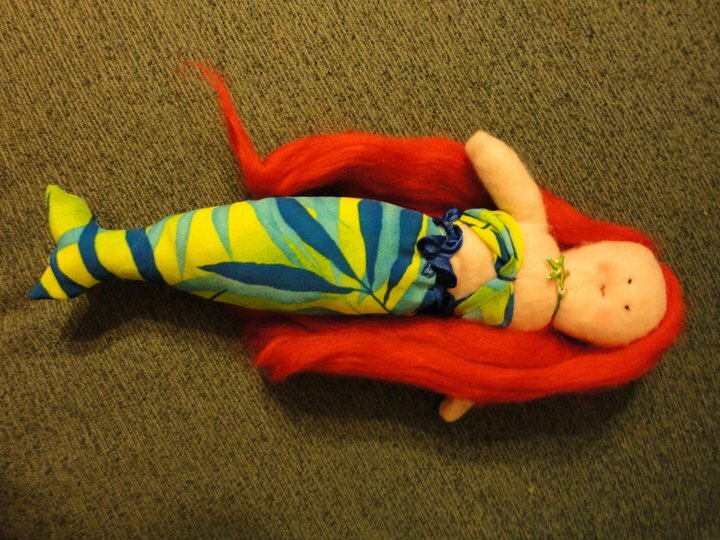 I also sewed a frill of ruffled ribbon at the top of her tail. 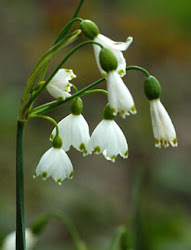 They are stuffed with an old pillow stuffing. Of course tiny necklaces with starfish or shells just completes them ! They weren't expensive to make at all, and a lot of fun and quick to make. 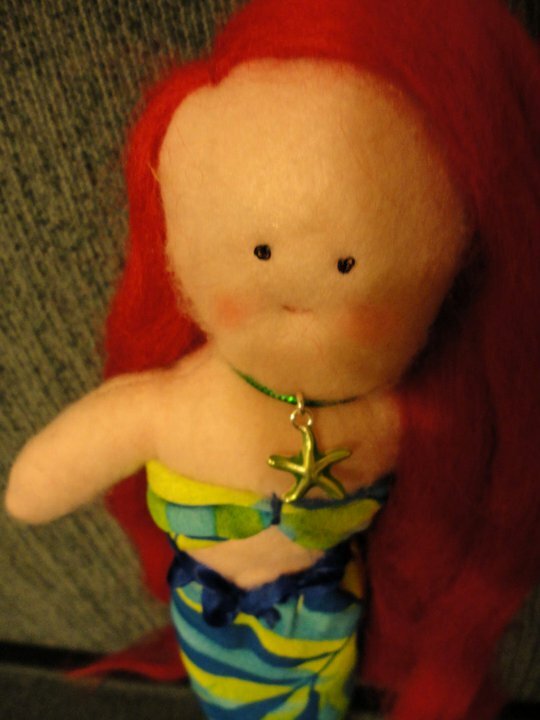 This little merbaby was for baby Isaak (2) who insisted he wanted a merbabe too.